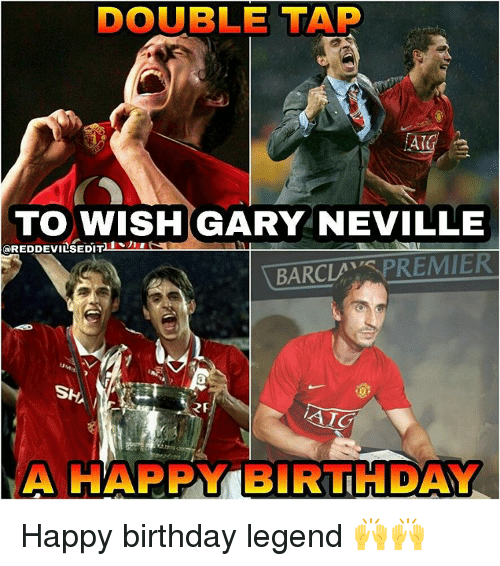 Birthday, Club, and Community: HE. 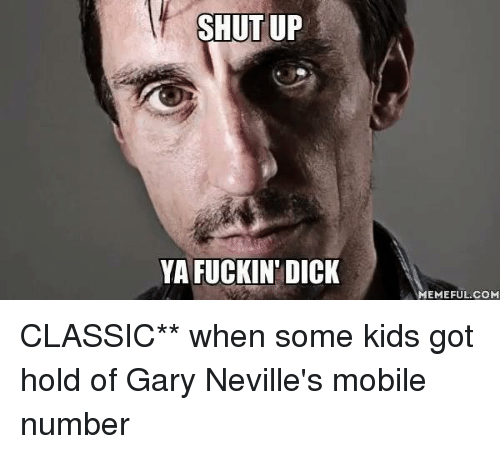 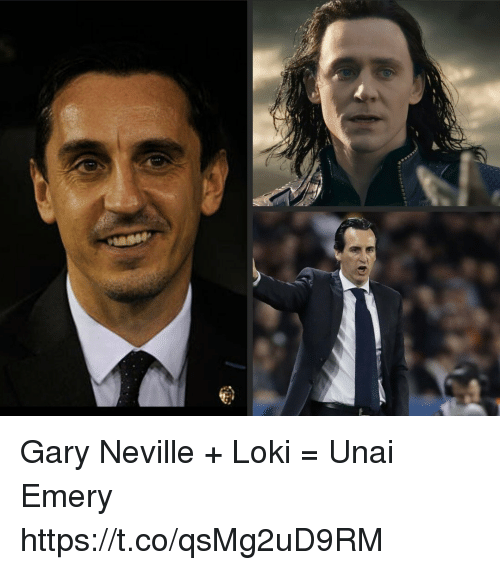 Happy Birthday Gary Neville . 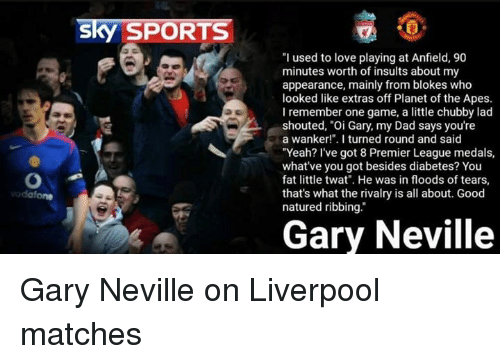 Premier League: 9 🏆 Community Shields: 3 🏆 F.A Cup: 3 🏆 League Cup: 3 🏆 Champions League: 2 🏆 FIFA Club World Cup: 1 🏆 . 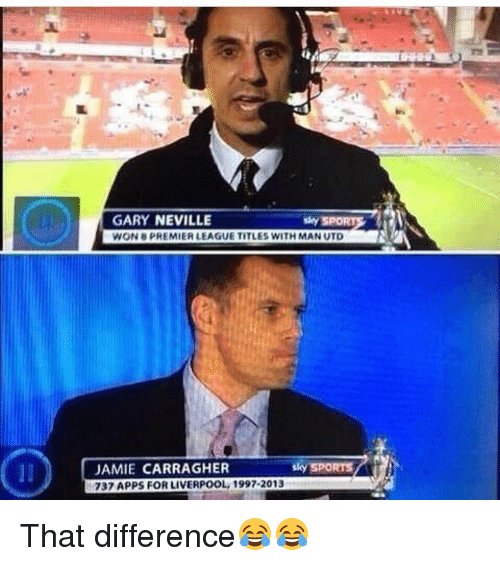 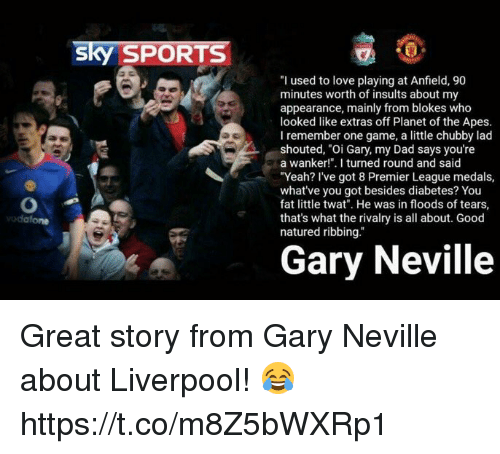 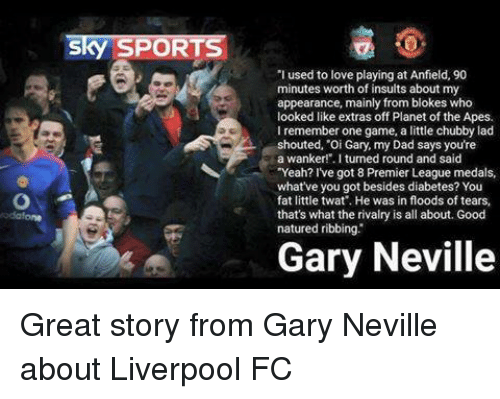 Gary Neville is a red, is a red, is a red, Gary Neville is a red, he hates scousers! 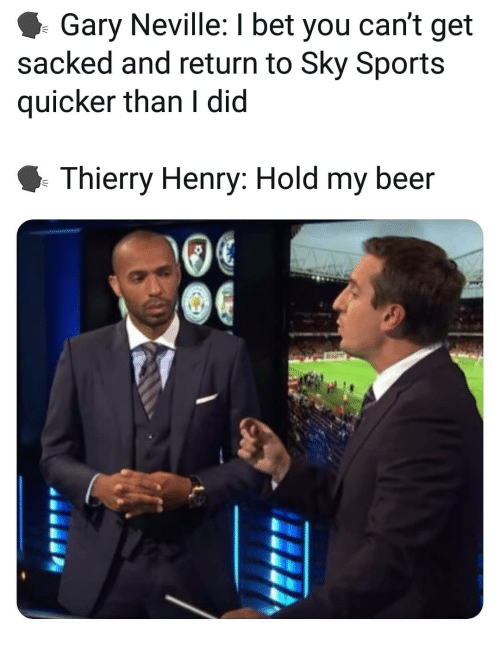 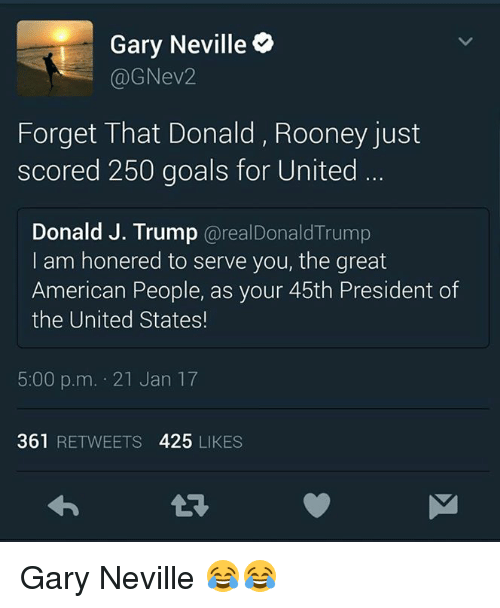 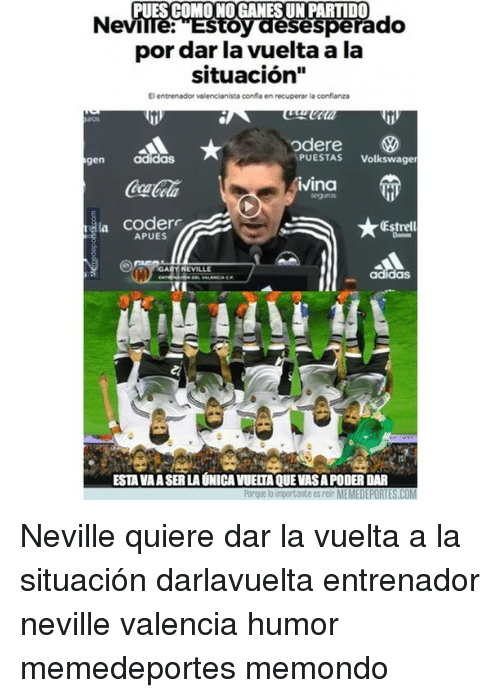 Harry Potter, Memes, and Anxiety: "He's not good enough that goalkeeper, the fella that sounds like an extra off Harry Potter. 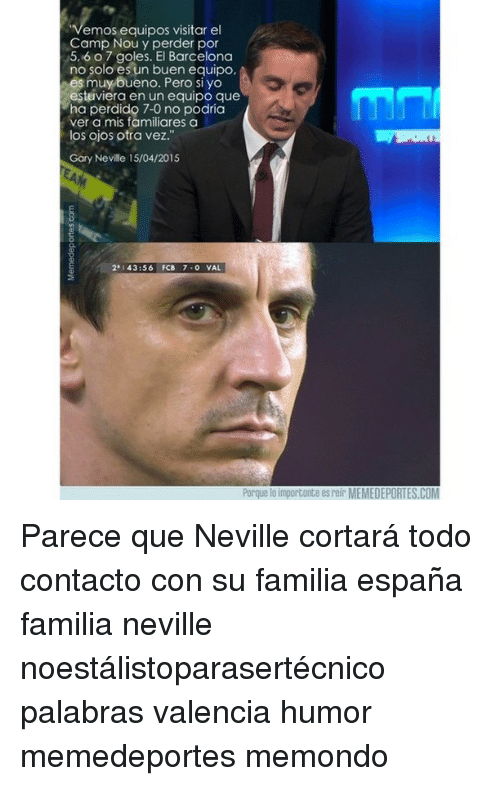 He looks nervous, and he transmits anxiety." 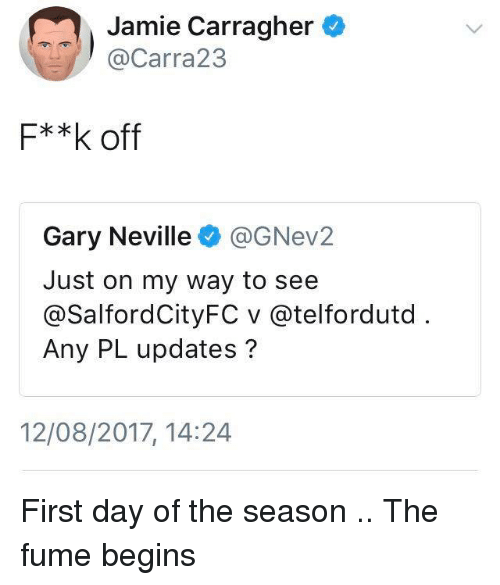 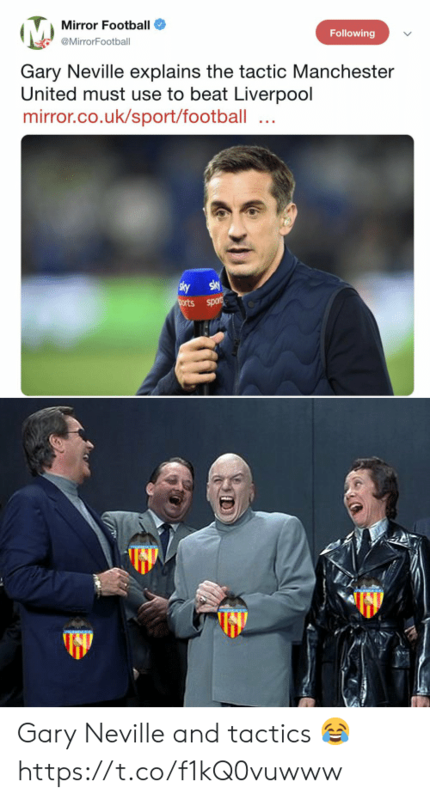 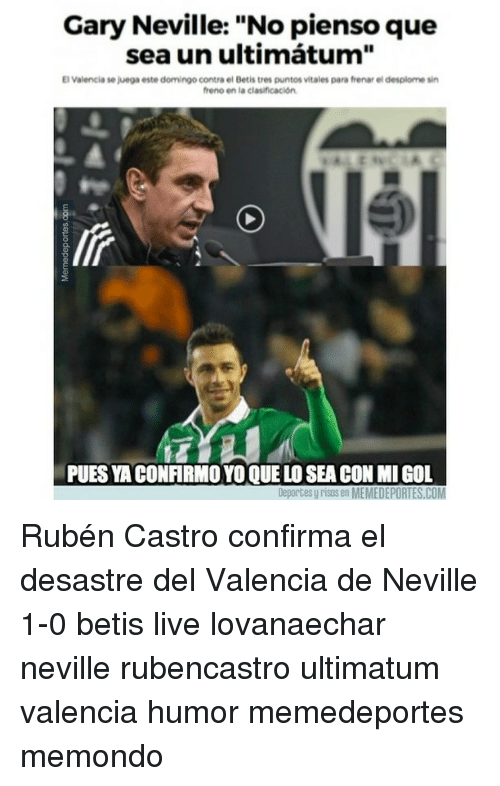 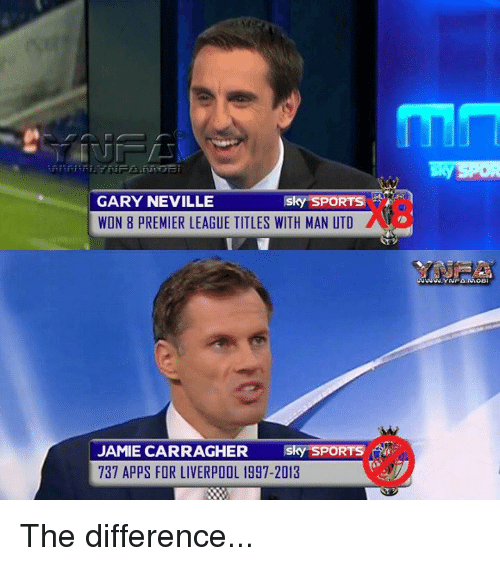 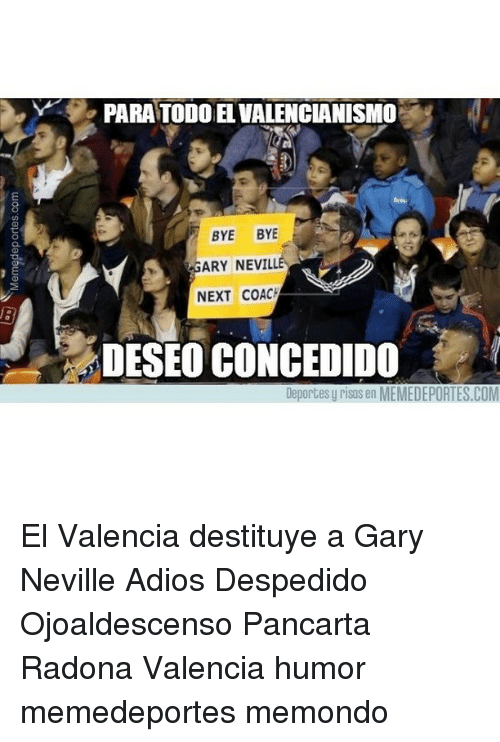 Gary Neville, o4/12/16 "I don't care what he said. 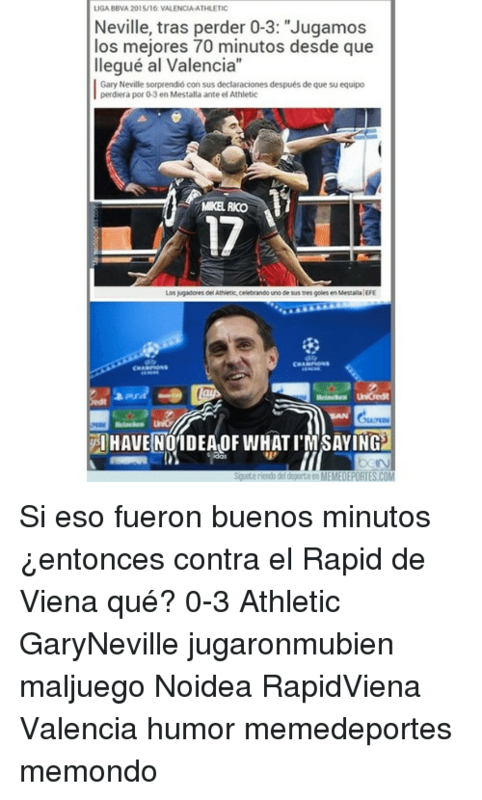 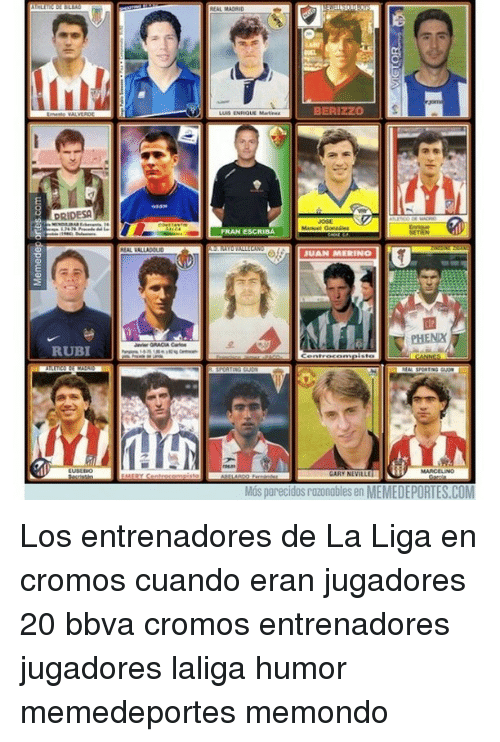 He was a manager short bit, and now he is back to being an fora expert again." 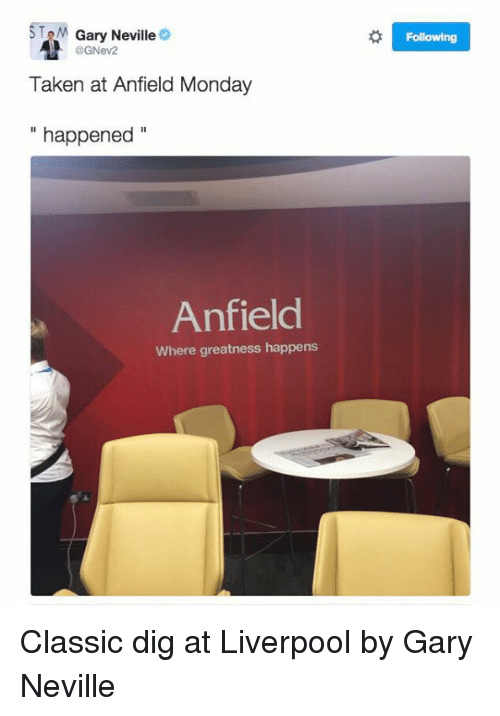 Loris Karius, o9/12/IG Shots fired by Loris Karius... 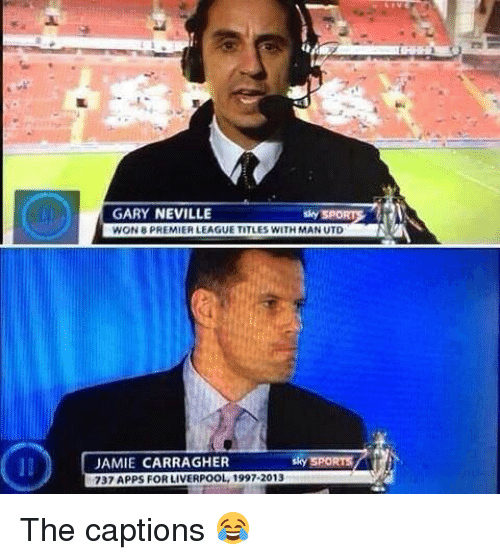 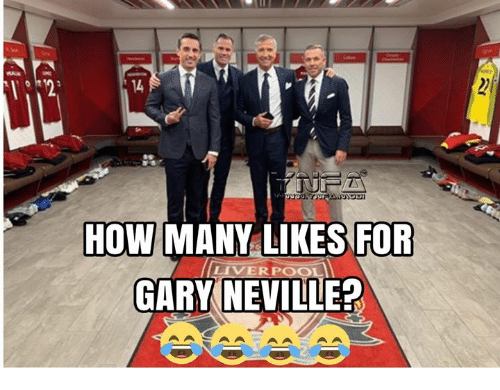 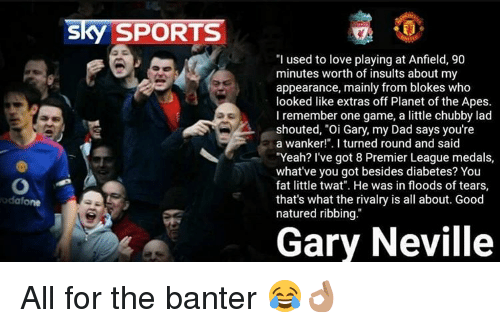 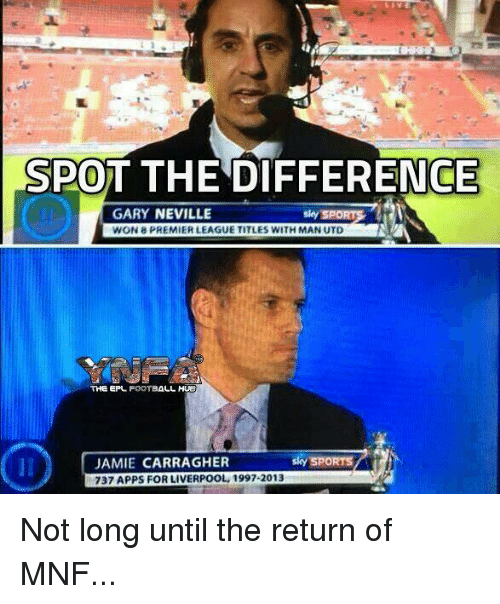 Your move Gary. 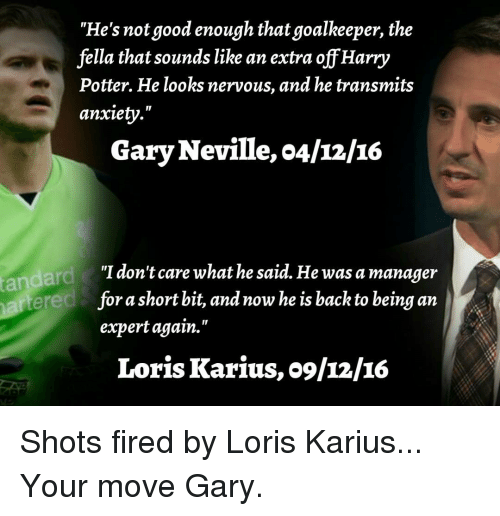 Shots fired by Loris Karius... 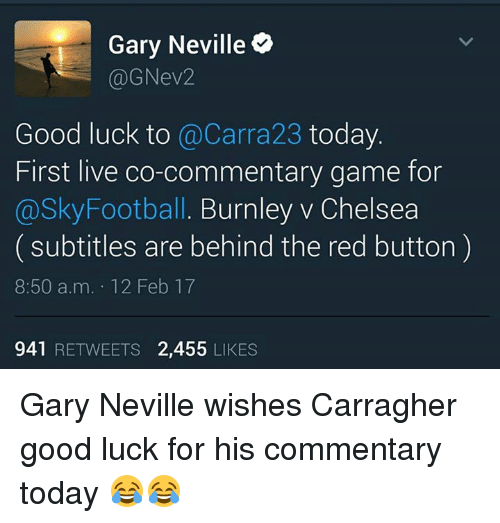 Your move Gary. 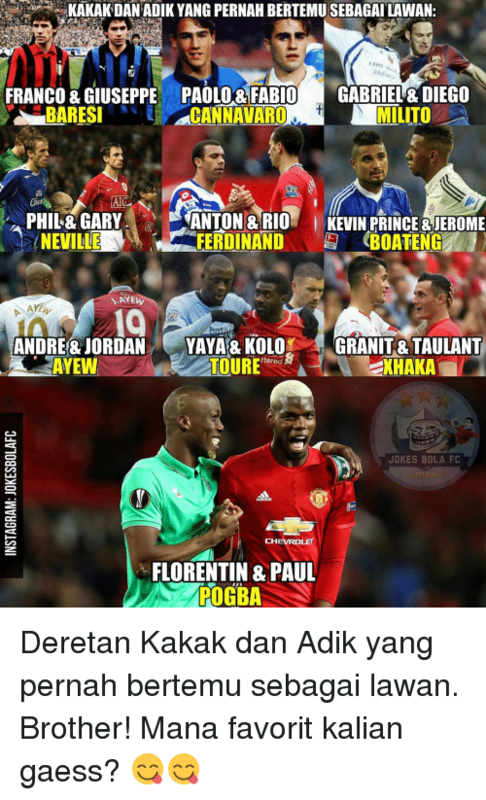 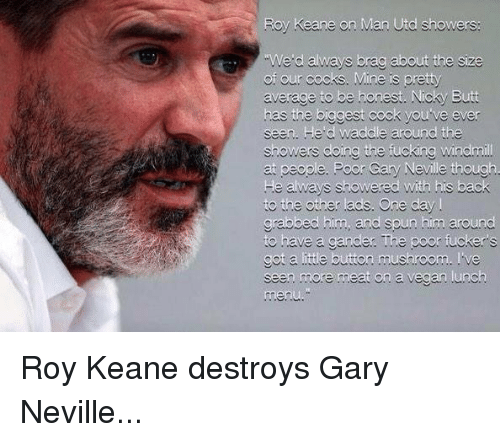 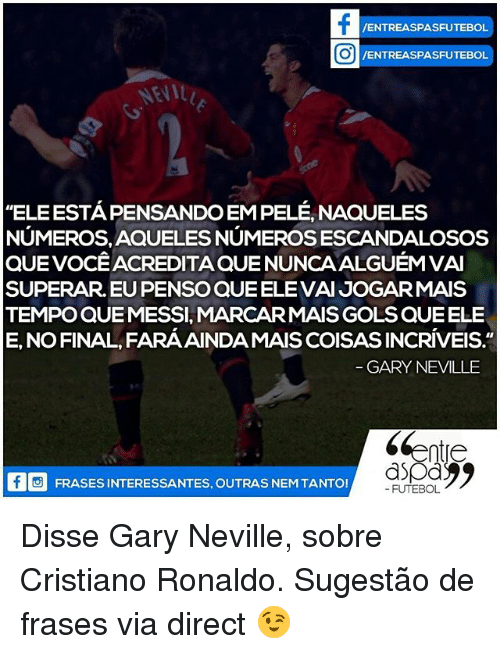 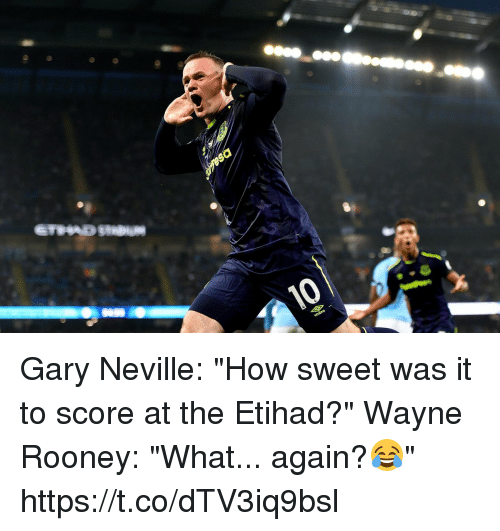 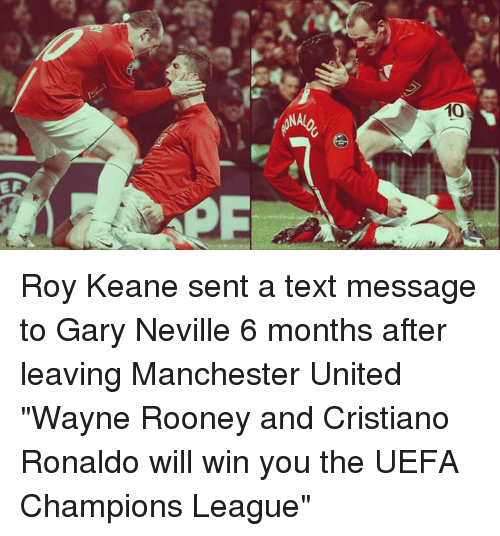 Cristiano Ronaldo, Memes, and Manchester United: ズ 10 EF Roy Keane sent a text message to Gary Neville 6 months after leaving Manchester United "Wayne Rooney and Cristiano Ronaldo will win you the UEFA Champions League"